Protovin ™ One 120 Caps. 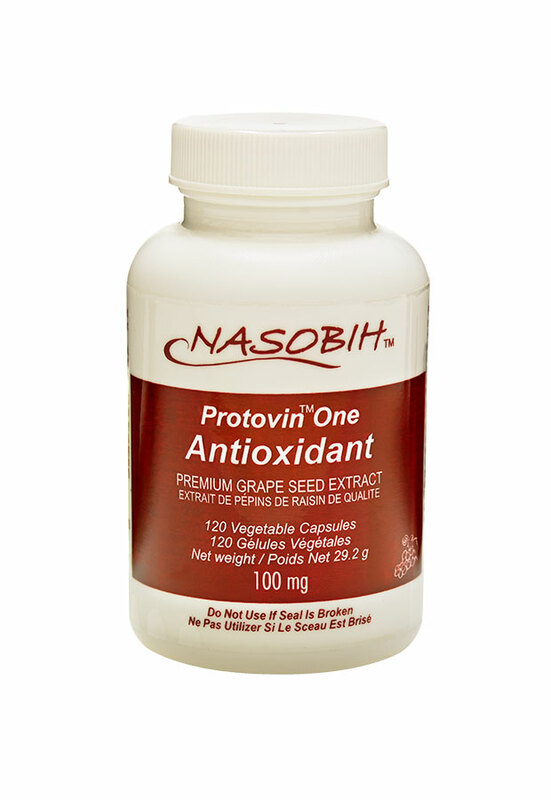 $30.95 | Nasobih | Nasobih Naturals Ltd.
Protovin™ grape seed extract functions as an extremely potent antioxidant, which is reputed to prevent and control numerous diseases by protecting the cells against free radical damage. Proanthocyanidins—the active ingredient in grape seed —are also believed to benefit the body by improving blood circulation and strengthening connective tissue. This is beneficial to people suffering from heart disease and cancer. Other conditions likely to improve from an increase in blood flow include cataracts, diabetes, leg cramps, macular degeneration, varicose veins, arm and leg numbness or tingling—even impotence. Daily supplementation may also help to relieve common ailments like arthritis and allergies. Protovin One is approved by Health Canada under the Natural Health Products Directorate NPN # 80028183.